One of my first tours as an Indian cricketer was to England in 1990. I fell in love with the country instantly. Since then, there hasn’t been a summer that I have not spent in England. That’s England summer, I mean. Why, I even took my daughter to England when she was just three months old. Nothing was going to stop me from making my annual trip to England. Why do I love England? Because it is nothing like India and that is why it makes for a great change. As I write this, I am in Cardiff, Wales, commentating in the Champions Trophy. I just passed Michael Atherton on the ground, who was grumbling about how miserable the weather was. I turned to him and exclaimed that it was lovely! It was cold, and the sun was not burning down—just the way we like it, as Indians from Mumbai. Summer weather in England is like setting your air conditioner to 20 degrees.... Perfect! And every time I am in England, I remember Dilip Vengsarkar, for he was the one who tutored me on how to enjoy England, the proper, English way. So, while most others in the Indian team ate from KFC and McDonald’s, Dilip would grab my arm and take me to an English diner to eat real English food. 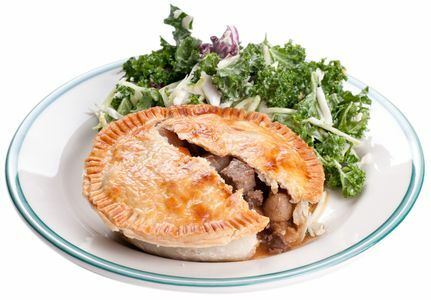 “Two steak and kidney pies, please,” was one of his favourite orders. As I started to eat, he showed me how English mustard works beautifully as an accompaniment with the pie. English mustard is the bright yellow, extremely pungent paste, of which you took a spoonful in a plate and left much of it there. But, a thin streak of it with every mouthful of the pie made the pie heavenly. Now, I need that exact English mustard whenever I eat any kind of meat, anywhere in the world. French or Dijon mustard does not do it for me. When restaurants in India offer these as substitutes for English mustard, I say ok. But, it is just not the same. I have been thinking for a while now to carry a bottle of that English mustard in my pocket every time I go out to eat in restaurants outside England. It was also Vengsarkar who introduced me to crispy aromatic duck and crispy seaweed. Only recently have Chinese restaurants in India added these dishes to their menu. I have craved for it far too long, and finally, the wait is over. Fish and chips and mushy peas is another Vengsarkar introduction in England that I am in love with and am addicted to. Some restaurants in Mumbai do a pretty good job with it, but this one needs another kind of accompaniment to enjoy it best. No, not English mustard, but cold, drizzly weather. So that is about the food. The other thing I love about England are the walks! You can really walk here, to your heart’s content. No, I am not talking about morning or evening walks, but, rather, walking to places for shopping, dinner and even work. We often walk from the hotel to the cricket grounds to do commentary. I take the car in England only when I have absolutely no choice. There is no guilt here in England—eat to your heart’s content and don’t worry about putting on weight, the walks take care of that. Just two days ago, I walked back after dinner here. If it was Mumbai, it would be like walking back from Bandra to Worli. The weather, the food, the walks, the underground trains, the general discipline... England offers me everything I love. But, strangely, after a few weeks, I still want to head home to Mumbai. I haven’t been able work that out.